This going to be my second live blog. I did my first during Game 5 of last year's NBA Finals, so I decided to do one today now that we have a possible elimination game coming up, as the Spurs have a chance to close out the series tonight. Now, it just so happened that today is also the day that the Mets have a doubleheader, and they're sending Matt Harvey out to the mound for Game 1 and another highly touted prospect, Zack Wheeler out for Game 2. I watched Harvey's debut intently last year, and I've been fascinated by him ever since. Hopefully Wheeler will live up the expectations as well. So the plan is to cover the first game at 1 PM, through the end. Then I'll take a break until the 7 PM game starts. In the middle, I may or may not randomly post whatever I want, just because I can. Anyway, when the basketball game starts at 9 PM, I'll be more heavily focused on that, as long as Wheeler is no longer pitching. I'll loosely flip channels, but after what the Mets put me through last night, I'm choosing the NBA Finals over them. So enjoy, comment, tweet me, whatever you want. Give me any sort of feedback on this, it would be greatly appreciated. Refresh the page for updates. So Braves fans must be very happy with this game already, since they don't have to deal with the atrocity that is Recipient of One of the Worst Contracts Ever, I mean B.J. Upton. In the meantime, before the game starts, I'm going to play extremely addictive baseball simulator Baseball Mogul 2014, and drool over the velocity portion of Matt Harvey's Fangraphs page. Hmm, Alex Wood being compared to Chris Sale? High praise, high praise indeed. I like these Mets uniforms, a lot. I know the name, but I've never seen Wood pitch before. It should be interesting. Quick work by Wood in the first. Starting off with a bang, blowing Schafer away with a 97 MPH fastball. A lot of Cholula-level fastballs by Harvey so far this afternoon. Triple digits for Harvey. One inning, two strikeouts. Nothing new from him. They are right, Alex Wood has a funky delivery. Not sure if Joey Votto, or Lucas Duda. As much as I dislike him, he's been working counts pretty well this year. I wear glasses as well, and boy, it's annoying when I'm dominating someone in a sport and they fall off. Wood is throwing a lot of pitches out of the zone, looking for the Mets to chase. Let's see if they pick up on it soon. No Ron Darling, it's not just the bench, there hasn't been much production from anyone on the Mets. Andrelton Simmons with an impressive defensive play. Much like Harvey, I'm not surprised. Harvey is very fastball heavy so far, which is slightly different from his trends this year. Yikes, Harvey has let up two real shots this inning. Time to confuse Laird with his changeup. Nope, he made him whiff at the slider. Good job by Matt. Down goes Harvey, Wood gets him with a nice looking change. We need #LessCowgill. He's looked horrible recently, he hasn't even been taking good swings. Wood is still working largely out of the zone. His approach is quite interesting. It's not that he can't throw strikes nor is he afraid to, but he's confident in the movement of his pitches. Unfortunately that's working against him as he's thrown a lot of pitches today. Also, there's something going on with his hand, and it really seems to be affecting him, because there is already action in the bullpen. This is weird. And it looks like the Mets are going to strand two more runners on base, because it's what we do. Horrible triple clutch by Chris Johnson. Cost them a run. Great hustle and smart play but Daniel Murphy never slowing down and sliding under that tag. And somehow they score that a Fielder's Choice. Oh look! Lucas Duda is back! And he struck out! I'm completely and utterly shocked. Well! There goes the perfecto for Harvey. time to strike some people out now. Horrible bunting by Alex Wood. Wow, Harvey is simply overpowering the Braves today. Schafer looks lost at the plate, because he can't catch up to the fastball. Matt's control is a bit off so far. And of course Schafer whiffs badly on the fastball, and then he makes contact with one finally. The Tomahawk Chop has begun, over/under at 23 for the amount of times I heard that today with both games combined. They may with the over in Game 1 alone. Very fastball heavy approach by Harvey today. And right on cue, he pulls out a filthy slider to fool Reed Johnson and end the inning. That blister must have been killer for Alex Wood, because he's left the game after 3 innings. His replacement, the brother of one of my MLB guilty pleasures. Cory Rasmus (brother Colby) is in to pitch. And he immediately serves up a homer to John Buck. Nice to see Buck finally hit one out. And Lagares gets aboard in a completely different way, a sweet bunt down the third base line. Time to enter full on run-manufacturing mode, as Freeman can't field a pick off attempt and Lagares moves to second base. Quintanilla with a productive out, but of course, it's still an out. He's now mired in an 0 for 22 slump. At least it got Lagares over to third. Now it's time for a hitter that may not be the worst in the lineup today, Matt Harvey. He's a good hitting pitcher, and he may just be better than Collin Cowgill or Lagares. And he strikes out. Throughout that whole at bat, Kevin Burkhardt was (and still is) interviewing Leo Mazzone. Somebody hire this man to be at least the Mets pitching coach, if not manager. He's a genius. And of course, while we were all being distracted by his genius, the Mets stranded Juan Lagares at third. Thanks Cowgill. Thank you Bobby Ojeda. Mazzone said it earlier, but pitch counts have gotten really ridiculous, and its really bad for relievers to have to deal with all these over-zealous managers and coaches. Though out that inning, Harvey struck out the side while us fans were stuck with really awkward skype commentary from Bobby Ojeda back in the studio in NY. There was a ton of dead air. I didn't realize this was a five game series. The only other one I can remember is when the Yankees swept the Red Sox in August of 2006 to solidify their lead in the division. Wow, a slow ground ball by Wright barely turns into a double play. Murphy once again shies away from sliding into Uggla, which happened last night as well. They had better taken Wood out because of injury, because if not, that's a waste of talent. He has good stuff, but he has not been stretched out enough to throw more than 72 pitches, which needs to be fixed, and soon. And as we got the middle of the fifth, a masterful quote from Gary Cohen to throw it to commercial, "Halfway through......halfway through!" Harvey with two great breaking pitches in this at bat, a great slider and a great curveball. He gets Laird and that's his fifth straight K and ninth of the game. Now six strikeouts in a row after he gets Uggla, and that's his tenth of the game. He's a machine. Simmons grounds out to end the inning. And my fries are done, I'll be back for the start of the sixth. How did they just mention Myers debuting and not mention the Rays other young guy, Jake Odorizzi starting the second game of the doubleheader. The top of the inning was very uneventful. Ooh, nice place by Duda at first to save Wright from an error. So Harvey is finished toying with Jordan Schafer and finally threw him a breaking ball, he still couldn't hit it. He goes down for Harvey's eleventh strikeout. He strikes out Reed Johnson for his twelfth strikeout of the game. This is incredible. Quintanilla finally gets a hit, so now Harvey is up there to bunt him over. Freddie Freeman with a great decision to throw to second base, and it turns into a double play. Cowgill gets on base (finally!) by drawing a walk, and everyone in the dugout is avoiding Matt Harvey. In case you haven't realized by now, the only Braves baserunners of the game have been from two walks. Murphy grounds out and it's time for the seventh inning stretch in Atlanta, and Harvey will go out there and attempt to continue his great game. Wow, that's a horrible way to lose a no hitter, thanks to a really bad play by Lucas Duda, not covering the bag. He can't play first base either! Now Harvey gets his career high 13th strikeout by getting Freddie Freeman and Jason Heyward is caught stealing for the double play. Great play by Quintanilla to end the inning. Really athletic, great range. Time to give this man some insurance runs for once. Word is spreading that the Mets have officially signed their first rounder pick, 17 year old first baseman and outfielder Dominic Smith. That sound you hear, bumbling idiot Lucas Duda and Ike Davis sweating bullets. Yes, they are audibly sweating. In the meantime, John Buck just got hit and now the bases are loaded for Lagares. And now Jordany Valdespin is up to pinch hit for Lagares. This should be interesting. Free swinging Valdy will either strike out by chasing a ball badly, or hit a rocket to drive in some runs. He's up 2-0 in the count, which is an unfamiliar position for him. He fouls off a fastball with a ridiculous home-run swing. Ooooh, he's up 3-1 now! I cannot comprehend what just happened. Jordany Valdespin just drew a walk to drive in a run. Now the bases are loaded with 1 out for Omar Quintanilla and the Mets are up 3-0. David Carpenter is having a lot of trouble throwing strikes, and he now has a 2-1 count to Quintanilla. He flies out, and Duda tags up and scores. Sac fly for Omar, and it's now a 4-0 game. Good job by Terry Collins, not worrying about Harvey's pitch count and letting him hit here. Unfortunately he almost got drilled in the head by a pitch from Carpenter. And another pitch up and in to Harvey. Obviously unintentional, he's been super erratic this whole inning. Harvey needs to work with the hitting coach more. That's the only thing he's done wrong today, he's 0 for 4. Though he's usually a pretty good hitter. Uh-oh, Harvey is starting to lose it in the eighth. Now a chopper flies over the heads of David Wright and Omar Quintanilla. Andrelton Simmons pokes it through the left side of the infield, and the bases are loaded with nobody out. 116 pitches, 13 strikeouts and Harvey is leaving the game. Great start by him. Oh god, LaTroy Hawkins is in to replace Harvey. I have no faith that hell get out of here without giving up a run, but as long as he only gives up one run I'm cool. Brian McCann is in to pinch hit for the pitcher, and surprisingly, Hawkins sets him down on strikes. The classic Mets bullpen has shown up, and Jordan Schafer gets a 2 run single. Both runs have been charged to Harvey. Schafer must be thrilled that Harvey isn't in the game to abuse him with 97 MPH fastballs anymore. Now Justin Upton is in the pinch hit after Terry Collins didn't wait for him to be announced before yanking Harvey. He grounds out and they get the force out at second. Runners at the corners, two outs, and Hawkins is gone. The lefty Scott Rice is coming in to face Jason Heyward, who has been atrocious against left handers this season. So, naturally, Heyward hits a bullet down the first base line that goes off the glove of Lucas Duda. It's now 4-3 Mets. Bobby Parnell is in to get out of the inning. If not, Matt Harvey is getting yet another no-decision. God, I hate rooting for this stupid team. And Terry Collins is a horrible in-game manager. I'm done with defending him. When the roster is this lackluster, a manager can't keep messing things up. Whew, Parnell get out of the inning by striking out Chris Johnson. On to the ninth, and hopefully some insurance runs. In comes Jumpin' Jordan Walden, who jumps ahead in the middle of his throwing motion. Really weird. Wow, that was quick, he got Cowgill, Murphy, and Wright on 7 combined pitches. That's the 6th time I've noticed the Braves encouraging their fans to do their always annoying tomahawk chop. I haven't been paying attention to it all day, so I'm sure I've missed a few. Parnell is still in to close it out. The Braves are down to their final out and Fredi Gonzalez bring in Can't Get On Base Upton to pinch hit as his last hope. Okay, thanks for handing us the game Fredi. I appreciate it. This should count as a forfeit, shouldn't it? Parnell gets it done against the disgraceful Lesser Upton, and the Mets win 4-3. I'm 100% unsurprised that Upton recorded an out there. Now the Turner Field groundscrew is bringing out the tarp, which is an ominous sign for Game 2 tonight. Finally Matt Harvey gets a win, but not without some drama thanks to the bullpen. His 7 innings, 3 hits, 3 walks, 3 earned runs, 13 K line doesn't do him justice. He surrendered none of the runs himself, and if Terry Collins were a better manager, he'd have been pulled once he walked the first batter of the eighth inning. Check back between now and the start of the second game for some updates. I might go take a nap right now. I don't know if we need #MoreCowgill or #LessCowgill, but Terry Collins needs to find a way to give us an adequate amount of Cowgill. I don't understand why Nieuwenhuis isn't playing instead of him for the nightcap. But all of that is irrelevant, it's time for the debut of Zack Wheeler. He'll be wearing #45, so time for every one to tape over their Pedro jerseys like my friend here. Cowgill finally got on base after going 0 for 4 in the first game. Starts off with a 96 MPH fastball. Ball. He walks Simmons, he focused a lot on the outside corner. He falls behind Heyward but comes back and strikes him out. Wheeler's fastball is effortlessly hitting 97. Jupton breaks his bat and ground to third. This is the issue with Wheeler, he has command issues, as he just walked Freddie Freeman on four pitches. His walk to Simmons was a five pitch walk. That's the 7th Tomahawk Chop today, first in the game. (that I've noticed). He starts off The Lesser Upton with a ball, and that warrants a mound visit by the infield and pitching coach Dan Warthen. He throws another ball, and get Upton to chase one in the dirt (as if that's hard to do) and he fouls it off. Well, both Uptons grounded third this inning, and Wheeler got out of it after throwing 23 pitches. The control issues worry me a little. Marlon Byrd manages a single. Have I ever mentioned how awesome his walkup song at Citi Field is? And the second double play turned by the Braves in this game alone. Wheeler finally gets a first pitch strike to start off the second. And he blows McCann away with a 96 MPH fastball. And he receives his first career Cholula Hot Sauce Flamethrower!!! He should savor this moment. A screenshot of this will be in his locker right next to the ball from his first strikeout of Heyward. And he gives up a double to Uggla. There goes the no-hitter already. Third strikeout for Wheeler, and the award goes to: Chris Johnson. Maholm is caught looKKKKing for Wheeler's fourth strikeout of the night. Wheeler takes four straight pitches before hitting a foul ball. He then proceeded to strike out. Chipper needs to work on some things with him. Nothing else of note happened in that inning, time for more Wheeler. Wheeler walks Simmons for the second time in the game. They're showing a graphic of Ron Darling's line from his first start, it's really impressive. 6.1 innings, 5 hits, 1 earned run 1 walk, 6 strikeouts. And the first three batters he faced were Joe Morgan, Pete Rose, and Mike Schmidt. In classic Mets fashion, Murphy lets the throw from Recker go under his glove as Simmons steals second. Then Wright can't handle Lagares's throw, so Simmons is safe at third. His second stolen base of the game and he moves up on the error. He would have been out at either base if the Mets knew how to field. Lost in all that, he strucKKKKK out Justin Upton before Recker's throw. Tomahawk Chop count: 8 today, second in the game. And the fourth walk of the game for Wheeler, as Freeman walks again. He gets out of the inning with a fly out by the worse Upton brother. Is this the same Cowgill I've been seeing? He gets his second hit of the game. Byrd gets a hit. Now he and Murphy combine for a double steal. McCann tried to throw out Murphy, but Chris Johnson was slow covering the base. Josh Satin is called out on strikes, horrible call by the ump there, and Satin was unhappy. He didn't say anything to the umpire, but his eyes looked like Tim Duncan. Bobby O is back for the fourth inning again, and hopefully this is less awkward than his last appearance during the matinee. Posts will be slightly more sporadic thanks the the iPad being a worthless tool for blogging. The Upton brothers collided when B.J. caught a fly ball. No one was hurt but it was entertaining. Otherwise, the crew just talked about the Wheeler brothers for that whole inning. Uggla loses his bat in the stands thanks to Wheeler. We're now through 5 and Wheeler looks good. The inning ends with a Marlon Byrd pop up, stranding runners at second and third. I'm so jaded at this point, I expect to leave runners on base under all circumstances. Game 6 of the NBA Finals is starting soon, I'll check in as long as Wheeler isn't on the mound. He gave up a hit to B.J. Upton. Boooooo. Tomahawk Chop count: 9 today, third in the game. Now Anthony Recker surprisingly crushed a homer to straighaway center field. Good day for Mets catchers, as Buck homered in game 1. Wheeler is done pitching, but the Mets bench is so short (only 4 players) that they decided to let him bunt. He struck out. Things are interesting now, as Scott Atchison, whose return I have been anxiously awaiting, throws one warmup pitch and pulls a muscle in his leg. Why not? He has to be helped off the field, and now Brandon Lyon is given time to warmup. In the meantime, the Braves whip out a Tomahawk Chop. 10 for the day, 4 for the game. I just tuned to ABC and the first thing I see is Kawhi Leonard slapping Mike Miller in the face in the process of posterizing him. I switch back to SNY to see Brandon Lyon and Josh Satin combine for an impressive play on a bunt attempt. Tomahawk Chop count: 11 for the day, 5 for the game. Brandon Lyon is working at a glacial pace, I can actually watch a full possession of the basketball game before he throws another pitch. 2-1 Braves. Of course the Mets bullpen has to make this much more interesting than it needs to be. Murphy hits a rocket down the first base line, just missed a homer, it was barely foul. He flies out. Wow, David Wright crushed a ball and it looked like a homer off the bat, but B.J. Upton caught it at the wall. This kid on the mound for the Braves, Anthony Varvaro has really good stuff, but he has a lot of command issues. In the suspended game I went to at Citi Field last month, he was really wild, and he isn't throwing many strikes here. Pure hustle by Marlon Byrd gets him a double. And now Varvaro's pick off attempt isn't fielding cleanly, skips into center, and classic Can't Field Either Upton can't pick the ball up. In stead he runs right by it and Byrd scores. Hey Braves fans, how does that $75 million contract for Upton feel right about now? The Mets have manufactured another run, it's now 4-1 Mets and no Tomahawk Chops in a while. Now Lagares drives in two runs with a single. In order, the results of each of the last six at bats: double, walk, single, single, single, walk. And yet Varvaro is still in the game. He got out of it, but after the Mets score 4 two out runs, and now this game is out of hand. Aaaaand he's gone with his third foul of the game. According to the box score he has played decent minutes off the bench, and the announcers are talking about how he's been good. 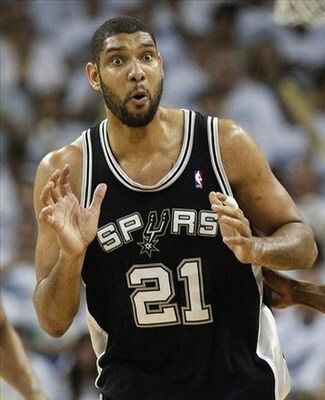 Bug eyed Tim Duncan is always fun to see. Glad he's still with us. Duncan is dominating, what the hell is going on right now? He's the greatest power forward ever, but he's also 37 years old. He should be allowed to be this good at 37 years old! Check his locker for deer antler spray (jokes, I love you Timmy). LeBron James is still being forced to the perimeter, but he's not hitting his jumpers, so it's going to be a struggle for him. In order to open up the lanes, he needs to be able to drill jump shots. Boris Diaw, making the case for the most deceptively athletic person in all of sports. Kawhi Leonard with incredible hustle to tip the ball in at the end of the half. Tim Duncan ends the first half with 25 points and 8 rebounds. Yeah, you read that correctly. He's been amazing so far. I expect to see a lot more of Birdman in the second half to try and slow him down. Time to watch my boy Simmons and the crew talk about what I missed. Why on three straight possessions have the Heat thrown the ball to Chris Bosh in the post? That's not a good thing. So many fouls by the Spurs, they're in the penalty already with 7:37 left in the quarter. Do my eyes deceive me? Is that Joey Crawford being buddy-buddy with Chalmers? What in the world is going on. Now the Heat are in the bonus. LeBron just blew an easy layup. This needs to change in the fourth quarter. A lot of non-shooting fouls so far, it's interesting how this game has been called. Tim Duncan is still great, as if anything has changed in the last 15 minutes. The Heat pulled off a mini run to creep back in the game, but every time they do, San Antonio has a counter punch. Why is Mario Chalmers the leading scorer for the Heat? Kawhi Leonard with an impressive coast to coast play. He's a really good all around player. The Heat need LeBron and Wade to show up in the fourth. No matter what the defense is doing, they need to put their heads down and drive to the lane. It's their only hope: Yolo Mode. Well, the Heat have climbed back in, and it's a 4 point game. Will it continue, or will the Spurs pull away once again. My gut tells me that the Heat are not going out this way, so I think they'll stick around and keep it close for the rest of the game. Wow! 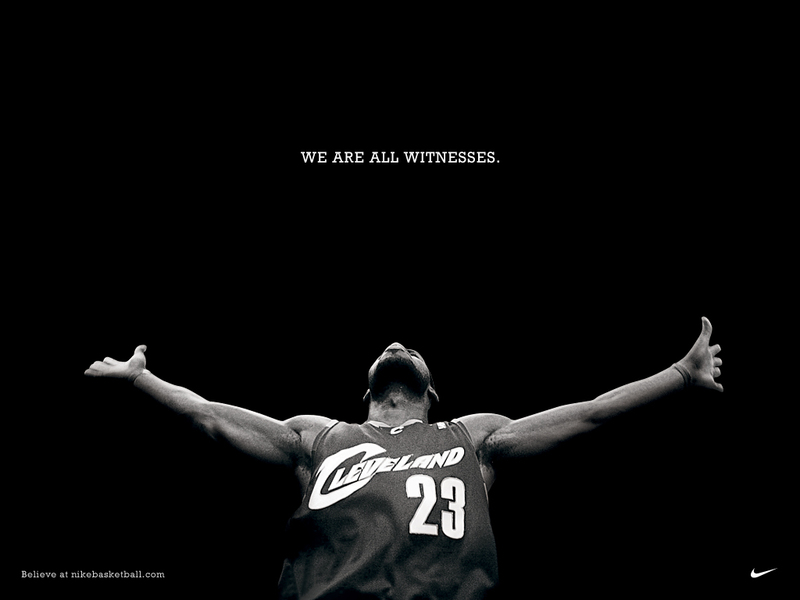 Explosion from LeBron on that dunk! And a putback dunk! The athleticism shown by James has been ridiculous. LeBron's headband fell off, and ever since then, he's been a new player. He's been aggressively taking it to the hole, and he's ratcheted up the defensive intensity. Miami takes the lead! This is the type of game I was looking for! I need another one of these, Game 7 please. 21-7 run for Miami, and it's all because LeBron lost his headband. He's been absolutely fantastic over the past few minutes. He's finally doing what he needs to do to score the ball. On a side note, the Mets just DFA's Colin Cowgill and brought back Andrew Brown. They also just traded Collin McHugh to the Rockies for Eric Young, Jr. Just though you all should know that, #MetsTwitter is buzzing. Back to basketball. Keep the headband off, Bron. You don't need that dead weight. It's been holding you back this whole series. The only problem is it's much harder to find him on my screen without the headband. Yes! Cliff and Chris Paul are finally hanging out! I've been waiting so long for this moment. Tony Parker. Hello, I've missed you. He scored 5 big points as the Spurs regain the lead. And Samuel L. Jackson just tweeted this. I love twitter. Oh dear, LeBron just lost the ball and it's going to cost them on the other end as Ginobili is shooting two. He hits them both. This is not looking good for Miami. Another missed shot, and the Heat are forced to foul. Ginobili is shooting two more. He missed the first, great break for the Heat. Drills the second of course. What a swing by the Spurs, sending this game in a completely different direction. It all started with one player. As Samuel L. so eloquently put it, "TONYMUTHAFUCKKYNPARKER Y'ALL!!!" LeBron misses the three, and he makes the second opportunity three pointer. Big time shot by him. That keeps them in the game. 20.1 seconds left, the Spurs are up by 4. This is incredible. The Heat with the quick foul, and now Kawhi Leonard is at the line to shoot two. He misses the first! He hits the second, now it's time to play for two. LeBron misses a three. Offensive rebound by Bosh, who kicks it out to Allen. TIE GAME 95-95 with 5.2 seconds left. Whew. I'm back. No I'm not! This is the best game of the year, and certainly the best game of the series so far. Parker drives coast to coast and takes an off balance jumper. After this long day of sports and blogging, we get overtime here in Game 6. This is absolutely great. How can I possibly sleep tonight, this is probably the best basketball game I have ever witnessed. The energy in this building is great. Ray Allen makes it a 1 point game with a layup, 100-99 Spurs. Why is Tony Parker shooting long threes in this situation. He knows he's not the great shooter in the world. Where's Danny Green? Great drive by Wade leads to the east layup by LeBron. The Heat are up 1. Shot clock violation by the Spurs, and a timeout. 101-100 Miami with 1:19 left in OT. I'm in awe of what I'm watching. LeBron misses a tough shot and Kawhi Leonard snatches the rebound. He has 10 boards tonight to go along with 22 points. He is a future star that we're looking at. In a few years, Leonard will be effortlessly making All Star teams. I can feel it. Horrible pass by the Spurs (I think it was Ginobili), and LeBron turns it over on the other end. Chris Bosh with a great closeout on Tony Parker, and he blocks him. Heat ball, with 30 seconds left. That is a disgusting possession, why would Wade take a jumper to attempt to ice the game. Ginobili with yet another turnover, and Ray Allen is fouled. He's shooting two with 1.9 left in the game. The Heat are up 103-100 with 1.9 left. Spurs ball, they need a three. Danny Green gets the inbound in the corner. THAT'S IT! THAT'S THE END OF GAME 6! Chris Bosh with an absolutely amazing play to end the game. Bosh has now made three very important plays in the clutch: the rebound at the end of regulation and the pass to Allen, the block on Parker, and that insane rejection on Danny Green. That's a great dinosaur. Who's a good dino? Good boy. We're headed to Game 7. Why was Zaza Pachulia not there tonight to fire up the Heat crowd. I absolutely love that video. After he retires, his job should be to show up and scream "Game 7!!!" whenever a series gets tied at 3. LeBron James ended with a triple double after struggling earlier in the game. This was a great performance by him at the end. Well, that's it. It's been a long day. It started with Matt Harvey's great start to beat the Braves 4-3. Next was the Major League debut of Zack Wheeler, who tossed 6 scoreless innings. The 5 walks were an issue, but he'll fix it. Then came the greatest basketball game of my young life. And of course, there's a Game 7 on Thursday. I don't know if I can do a live blog during Game 7, but it's been great. It's been a great day of sports, and it's been fun to share it all with you people. It's actually been fun to write. Good night.